Anything unrelated to elephants is irrelephant. : Finally in Bots! Anything unrelated to elephants is irrelephant. This blog is following my 27 month Peace Corps service in Botswana. August 12, 2013-Oct 15, 2015. Dumela (Setswana for hello, which is all I remember so far)! So the past few days have been crazy/awesome/scary and I love it. 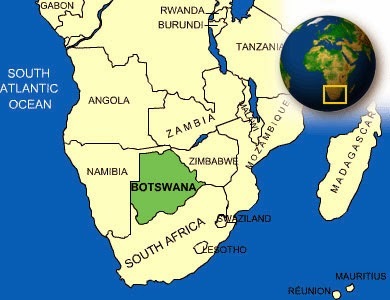 My PC group has 61 people in it, which is a huge group for Botswana. We all met on the 11th for what is called staging, in Philly. It was long, and quite boring. Buuuuut, we finally got to meet everyone in person, after SO MANY months of Facebook meetings! Crazy seeing people in real life, felt like I was meeting an online date. On the 12th at 2:30am they bused us to JFK where we sat in the airport until our flight at 11:30am. It was super long, but solid bonding time. My group is from all over the United States and the ages vary greatly as well. My fellow PCV's are all very welcoming and "normal", so that's a relief! Ok, so 16 hours later we arrive in Johannesburg, South Africa. From there we took a flight to Gabarone, Bots which is the capital and where we have been staying. Our hotel here is definitely one of the nicer ones and we have all the amenities! Hot(ish/sometimes) showers, wifi, and yummy food. The are wining and dining us before the REAL show starts. Tomorrow we take a bus to meet Serowe, which is our training city, and we meet our host family. We are all pretty scared, but excited. The families that host are usually very respected citizens in the community and it is seen as an honor and privilege to host a PCV. The houses are required to give us our own room with a lock, and they're job is to teach us the Botswana lifestyle, while we attend classes during the day with our group. I may or may not have Internet, so of course I'm trying like hell to get as much in a possible (because that totally makes sense). It will be nerve wracking, but I know I am lucky to have really awesome fellow PCV's to be there with me. Also, even though our hotel has wifi, it's hard to find time to be on it because we are busy ALL day. We have barely left this hotel so tomorrow will be an adventure. I'll try to post pictures and more interesting things about the culture when I have more time! In case you don't know! A nine year old is my best friend.